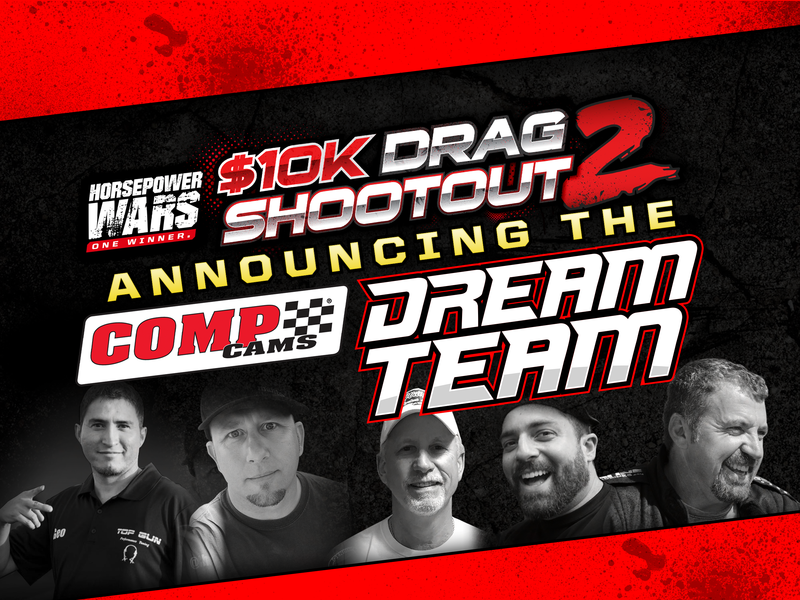 $10K Drag Shootout 2: Revealing The COMP Cams Dream Team! 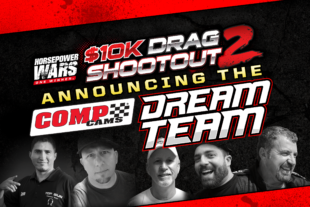 Team Midwest Mayhem Wins Final Vote Into $10K Drag Shootout! 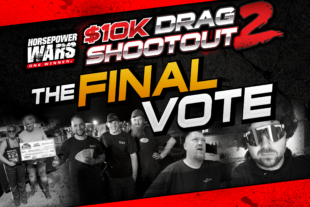 $10K Drag Shootout 2: Revealing The Second Team And The Final Vote! The Ford Vs. Chevrolet rivalry started way back in 1911 as William Durant began to start a car company called Chevrolet to compete with the Ford powerhouse. 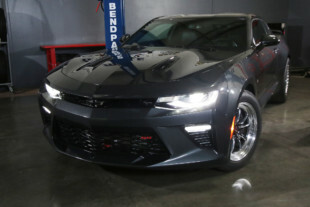 The name Chevrolet came from Durant’s partner and race car driver Louis Chevrolet. The Chevrolet car was a low-priced vehicle that was well made and almost immediately became a very popular auto in the public eye. In 1917 General Motors brought the Chevrolet brand into the company to take on Ford and the omnipresent Model T.
Fast forward 108 years and this rivalry is stronger than ever between the two industry leaders. In a battle for market share, neither company will back down using every weapon in its arsenal to sway a potential customer to buy the latest products. One of the more significant victories for GM fans was the introduction of the LS platform that was brought online in 1997 and was manufactured through 2015. It’s predecessor, the LT series engine has now replaced the LS and offers even more potential than the former powerplant. Ford’s answer to the market was to resurrect the legendary 5.0L. Instead of the single cam design that was employed in the classic 5.0-liter small-block, Ford went with a dual overhead cam modular design. This engine has been remarkably popular with the Ford crowd, and the aftermarket has latched on to it making a plethora of new parts. This engine was introduced in 2011 and has had very few changes over the years so far showing that Ford has been pretty happy with the success of its most recent champion. 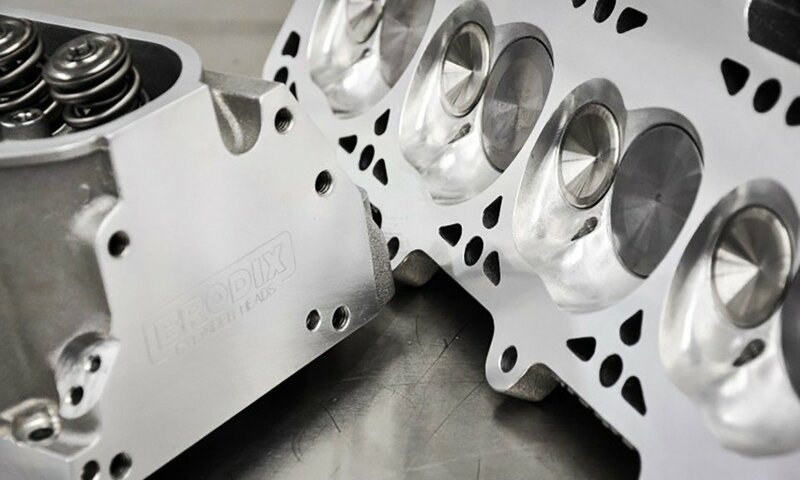 Not only is the LSX block tough enough to survive some serious boost, it also has a ton of other cool features for high horsepower applications. The battle between these two engines is not apples to apples as is to be expected since the engines are designed by different companies with opposing ideas. The first noticeable difference is the LS’s single cam configuration versus the Coyote’s dual overhead cam design. Another dilemma is the overwhelming aftermarket support of the LS since it has been around since 1997. This support allows for more LS configurations in the way of blocks, heads, and intake manifolds. So while the Coyote should have the advantage in head design and extra cams, the LS can make up the deficit with more robust parts and cubic inches. 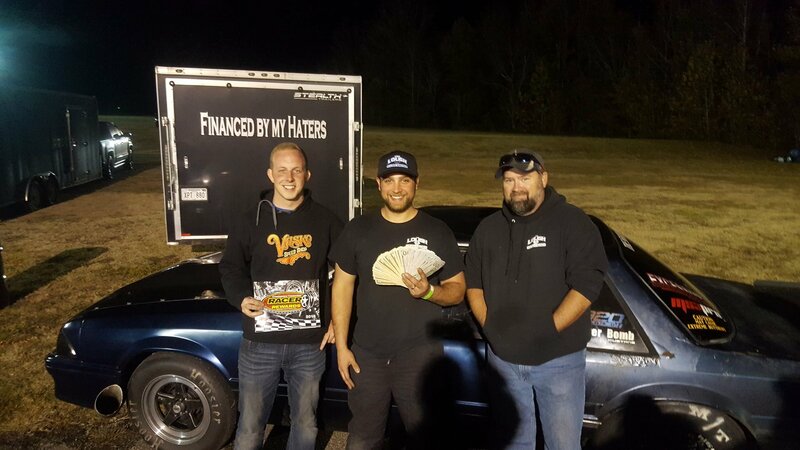 Bryan Neelen and his team from Late Model Engines (LME) out of Houston, Texas are taking on the challenge of creating a budget-limited LS engine to answer the call for Horsepower Wars LS vs. Coyote 2. Their creation will go head to head with the Coyote engine built by Tim Eichhorn and crew from MRP Racing Engines in Florida. Both teams are locked and loaded with a budget of $15,000 per engine using Summit Racing pricing. 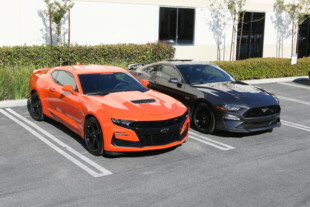 The only common ground between these two engines is that both will utilize a ProCharger centrifugal supercharger of their choice as well as a Holley EFI Dominator ECU. It will be a battle of anything goes as long as the teams stay under the $15,000 budget. Late Model Engines, specializes in high-performance LS and new LT engine builds and development. When we started the search for someone to build an LS engine in our shootout, LME was an obvious choice. 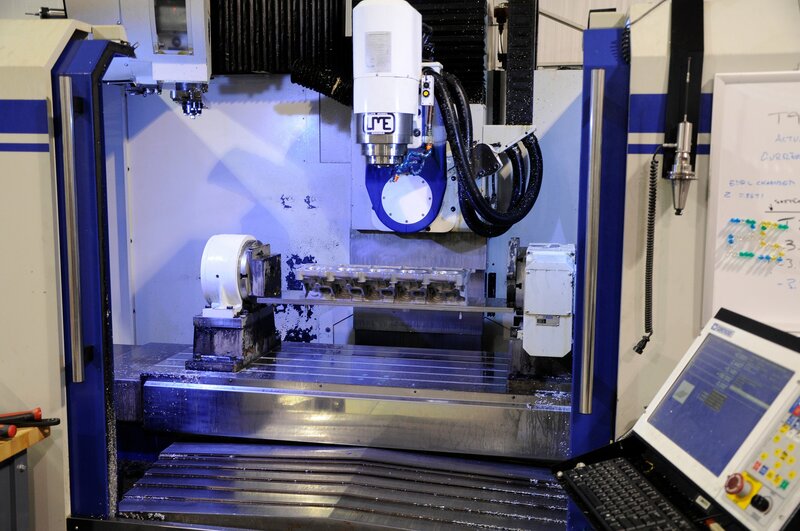 Their facility offers a full machine shop including multiple 3-axis CNC machines, honing systems, electronic balancer, SuperFlow flow bench, and a SuperFlow engine dyno. They have built thousands of high-performance LS and LT platforms, and according to Neelen, they currently power the top four of the fastest LSXs in Texas. Late Model Engines' shop was a playground for LS and LT enthusiasts. This shop offers all of the latest machining equipment and more LS engine components than you could possibly imagine. In a competition like this, the strategy is everything. You have to know where to cut cost to stay inside the budget, but you also need to know what factory components will do the job and which ones will not. With so many accolades under their collective belt, we were curious to see what Neelen and his crew had in store for the build. Where would they play it safe and where would they push the limits in order to compete with the Coyote engine. Before we get into Bryan’s strategy, taking a look at the rules will give you some additional insight into his thought process. Our contestants will be awarded 4-points for the engine with the highest power total. 3-points will be awarded for the best average power over a 3,000 rpm sweep. 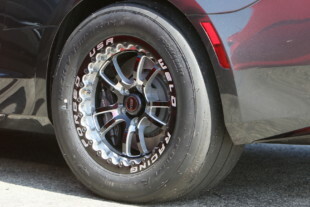 Finally, 2-points will be awarded for the most horsepower per cubic inch. 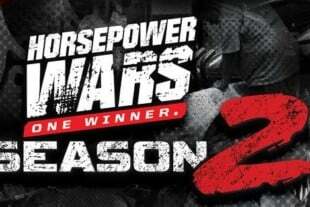 For a more detailed look at the rules, be sure and watch Horsepower Wars LS VS. Coyote 2 – Episode 1. Total of 9 points possible. The game plan for the LME crew was a straight forward approach, and one they know all too well. They decided to take one of their already successful engine combinations and make it fit within the budget for this contest. This, of course, meant putting their faith in some inexpensive OEM components in hopes that they will survive the test and meet the budget. Neelen states, ” We decided to build the largest engine that we can, to fit within the budget to give us the biggest horsepower and torque number possible.” The powerplant of choice for Late Model Engines is a 427 cubic-inch engine using the Chevrolet Performance LSX block as the foundation. The Late Model Engines crew was all business during this build, led by Bryan Neelen the owner of LME in red. According to Neelen, “Cubic inches equal torque and the longer the stroke on the crankshaft, the more mechanical advantage you will have. We did briefly consider going with a larger bore size, like a 4.185 bore, but then we were concerned with head gasket sealing issues. We decided that the larger bore size was a diminishing return of investment.” With that said, Bryan decided to stick to the standard 4.125-inch bore and not deal with the cost or problems that might be associated with the larger bore. “We know from experience that we can make 1,600 horsepower at the flywheel with E85 fuel on one of our 427 combinations,” Neelen continued. “If the horsepower per cubic inch had more weight in the point system, we would have looked at building a smaller cubic-inch engine.” However, this is not the case in our shoot out, and the category for winning most horsepower per cubic inch will only net the teams 2 points, the lowest of the three categories. “The 427 is the most economical big inch combination that we can build.” By going with this combination, the guys are able to cut the cost by using a factory crank versus an aftermarket unit which will save them as much as $1,400 on just one part. We asked Neelen what he thought about the shootout, “I’m pretty confident that we have an excellent combination that we have built many times over with slightly different components. Durability might be a problem because we are not able to use some of the parts that we normally would make this kind of power.”When asked if LME had an advantage, Neelen quickly fired back, “I think in a sense it is an unfair advantage because we are able to build a much bigger engine than MPR… Our 4-inch stroke compared to their 3.750 stroke is going to make more torque. 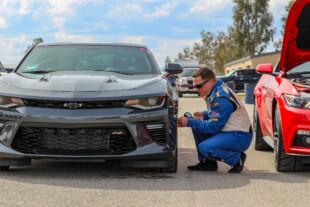 There is no way that it can’t.” If the competition would have been based more heavily on horsepower vs. cubic inch, Bryan states that LME’s game plan would have been entirely different. LME started off the build with a Chevrolet Performance LSX engine block. This part offers a significant advantage over the standard LS engine that would be found in a typical production vehicle and is designed for the advanced competition engine builder. The cast iron block offers a higher nickel content and features Siamese cylinder bores, semi-finished deck height, front oil feed lines, 1054 billet steel 6-bolt main bearing caps, 6-bolt cylinder head bolt pattern, external oil pump feed at the rear, and machineable cam and lifter bores. The block even has a 7th transmission bolt hole to work with early-style GM transmissions, front motor plate capabilities, threaded freeze plugs, windowed main bulkhead, and it’s powder coated orange. When you get an LSX block from GM, they are undersized and are in need of line honing. 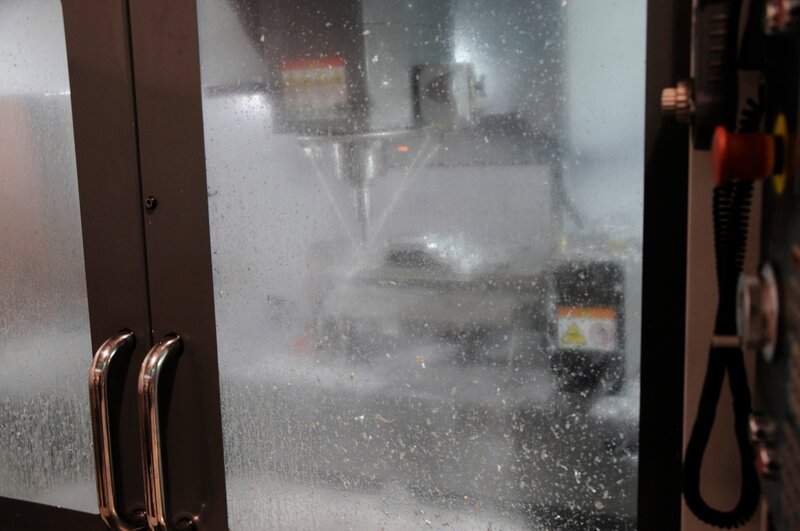 According to Neelen, “The basis of any good performance build is the line hone.” This process was complete and after the centerline of the crankshaft was established, the block made its way to the CNC machine. The LSX block was then decked, bored for the pistons, and clearance for the stroke. The deck height was cut down to 9.240 inches, and it was then bored to a 4.120 inches. Next, a finish hone will take the cylinders to their final bore size of 4.125 inches. While the block was getting prepped, the factory LS7 crankshaft was getting some special treatment as well. According to Neelen, “Every crankshaft should be balanced, even if it’s a factory one. 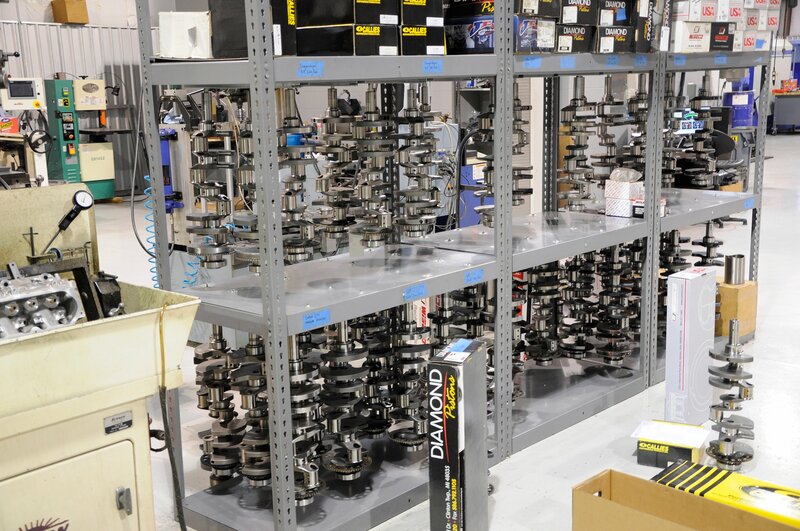 Anytime you change a rotating or reciprocating component in an engine, it will need to be rebalanced.” The end result is a crankshaft that is good for over 10,000 rpm. Even though we don’t expect LME’s LS to reach this rev-limit, it’s nice to know the crank is capable of some extreme revolutions if needed. LME also cut the snout of the crankshaft down because it is set up for a dry-sump oil system which is not required in this application. Other mods included a double keyway to make sure the supercharger pulley has positive engagement as well as chamfered oil holes to aid in oil delivery to the bearings. LME’s renowned LS engine builder Vincent Monighetti, checking all of the clearances on the stock LS7 crankshaft. After everything for the block had been checked and verified, the crew at LME went ahead and installed the Dura-Bond CH-23 cam bearings. The engine then made its way to the assembly room where Vincent Monighetti, one of the best LS engine builders in the country, meticulously went to work. Vincent’s first plan of attack was to check all of the clearances for the crankshaft and make sure the tolerances were correct before the factory LS7 crank was installed. After he was content with the measurements, Vincent grabbed a set of Clevite MS 2199 main bearings and placed them in the race-ready engine block. The bearings were then lubricated with Royal Purple assembly lube before the crank was mated with the block. With the crank resting in the engine, Vincent proceeded to set the billet main caps and torque them down in sequential order. For the bottom-end, LME opted to spend some of the budget on a set of ARP Pro Series 12-point main studs in place of the factory GM bolts. This was done to ensure reliability on the bottom-end as the ProCharged engine starts doing its job and making tons of horsepower as well as torque. Vincent started assembling the MAHLE LS forged pistons which measured out at a 4.125 inches with a -8cc dish, which included tool steel wrist pins. This set of pistons offers a premium ring pack setup for lots of boost. The final compression ratio of 11:1 is what Neelen decided to go with and according to him, “With E85 on a boosted application 11:1 is the norm these days.” While this ratio is not conservative, Neelen states that this certainly is not too aggressive for this build. With a touch of finesse, Vincent hand filed all of the rings setting the top ring gap at .028 of an inch and second ring gap at .032 of an inch. He then went to work on assembling the pistons and Saenz connecting rods. The beefy Saenz I-beam connecting rods are made of 300M and measure out at 6.125-inch and are a large 2.100 journal small-block rod with a .927 wrist pin. Not only are these rods stout, so is the hardware. Saenz partners with ARP for the use of L-19 rod bolts to make sure things stay put on high horsepower applications. If you are not familiar, L-19 is a step up from the popular ARP2000 material with a staggering 260,000 psi of clamp load. After everything was assembled, Vincent slid the rods and pistons into the engine bore. The next step for Vincent was to slide the custom Comp cam in place and degreed into the desired setting. Clearly, idle quality wasn’t a concern with a massive .714-inch lift and 245/263 duration at .050, cut with a 115 LSA. Dan Harvey of Comp gave us some insight on the custom grind, “We choose an intake lobe that would feed a 427 11:1 blown LS engine, and choose an exhaust lobe coupled with what we thought the LSA needed to be. Because of the desired engine RPM (8,000), we would need to open the exhaust valve at the correct time.” A Comp Cams billet adjustable timing set (PN 7106) was used to connect to the crank before the front cover was buttoned up. From there, Vincent flipped the engine over and installed the Melling M295 (standard volume, standard pressure) oil pump to prevent cavitation at high RPM, along with a factory GM oil pickup tube and a used 2010-2015 Camaro oil pan. These CNC’d LME heads might be the most important component of this build. 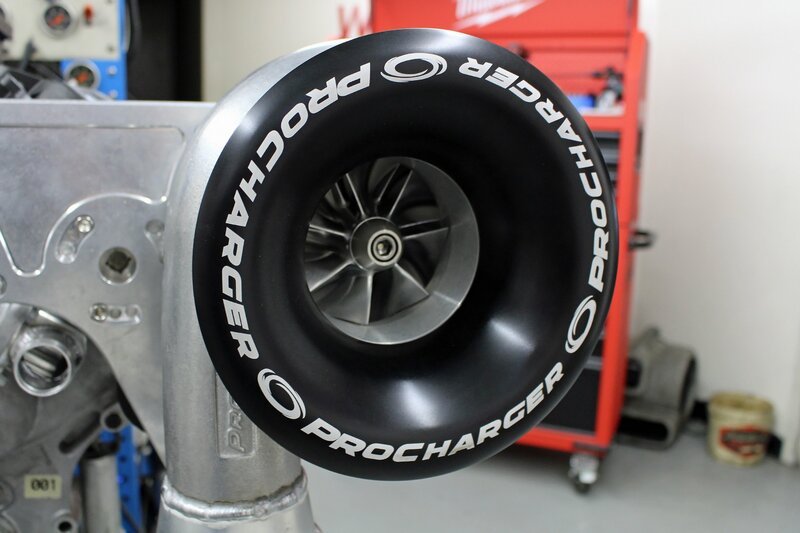 If you can’t get the massive amounts of air in and out of the engine supplied by the ProCharger, you will be losing massive amounts of power due to inefficiency. LME didn’t take any chances in this department by using one of the best in-line heads on the market. Perhaps best of all, its impressive flow (377 cfm at .700-inch lift) does not come at the cost of compatibility with factory rocker arms, valve covers, intake and exhaust flanges – thereby saving even more money in the budget. We wanted to know more about the BR7 heads and the process that LME and Brodix used to develop them. We reached out to Mark Fretz, Sales/Tech at Brodix Inc. who gave us some insight. Mark said, “When we make a cylinder head like the BR7, we will work directly with the companies head porter. After they are done with their porting and finishing work, they will send the head back to us. At this point, we will cut the head up, evaluate it, and then add extra material where it needs to be.” Brodix has its own foundery which allows them to move material around on the head as needed. According to Mark, “This enables us to make sure that there are no thin areas in the casting and to ensure that the heads are a quality product.” According to Mark, The BR7 heads will work on just about any engine combination. 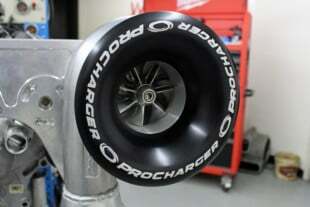 Brodix uses them on naturally aspirated, boosted, as well as nitrous engines. Vincent promptly rolled the block over on the engine stand a final time and went to work on the top-end of the engine. A set of Cometic MLX 6-Bolt head gaskets were slapped down right before the stunning set of LME heads hit the deck. The factory GM head bolts fell quickly off Vincent’s fingertips and before we knew it everything was torqued and he was on to the valvetrain. He then dropped in a set of AC Delco LS7 hydraulic roller lifters — you read that right. In order to stay within budget, factory lifters were used. Vinny then measured for the correct pushrod length. 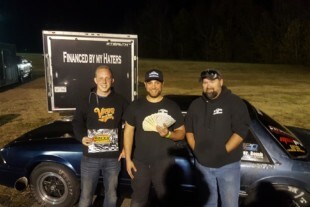 With this measurement, he disappeared for a minute and reentered the room with a box of Manley Performance 3/8-inch .080 wall 7.850-inch long pushrods. In a matter of seconds, all of the pushrods were in their proper location and factory GM LS7 rockers were installed. A GM LS2 valley cover was bolted down followed by the GM LS6 factory valve covers. The next piece that showed up in the assembly room was an actual work of art, the LME billet intake manifold. According to Neelen, this intake will play a vital part of this competition for LME. Neelen stated, “With the big plenum and short runner design, we feel it will carry the RPM from 5,000-8,000 right where we need it to win this competition.” If the intake does precisely what he plans for it to do, this combination will be extremely tough to beat. Vinny bolted the billet piece onto the heads using LME supplied hardware. Deatschwerks 2,200cc injectors were placed into the billet runners, and Holley fuel rails secured them to the intake manifold. To finish off the manifold, a Holley Sniper 102mm cable throttle body was bolted in place. After the long-block was assembled and the intake was in place, Vincent bolted on the Dayco Power Bond SFI harmonic dampener, and the massive 28-percent overdrive pulley mounted to the crank. It was time for the ProCharger, but which one did Neelen pick? With the horsepower numbers that he was talking about making, our money was on the F-1X and we were correct. Vincent hoisted the massive F-1X ProCharger out of the box and within a matter of minutes he had it mocked up and ready to rock. According to ProCharger, this unit is capable of moving 2,000 cfm at a max boost level of 38psi. 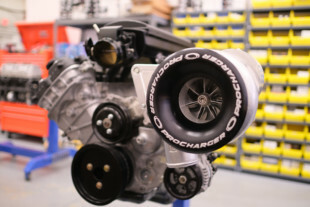 If LME is able to play their cards right and utilize all 38 pounds of boost, they should be able to achieve the 1,400 horsepower mark with no problem. But, a couple of questions still remain. Will the serpentine 10-rib belt system sustain this kind of power and not suffer from belt slip? Is their engine combination strong enough to take this kind of punishment with the use of OEM components? LME is confident that it will not only make the power but also come home with the victory. All that is left now is to add the Royal Purple oil, E3 Spark Plugs ignition coils, plug wires, spark plugs, and strap it to the dyno. Once it’s in the dyno room at Westech, the Holley Dominator will be wired up and then the moment of truth will tell us if the crew at Late Model Engines made the right choice for this competition. This will definitely be a shootout to remember as the Coyote and the LS go head-to-head. The LS has a more seasoned aftermarket and more cubic inches, but will that be enough to outgun the dual overhead cam design of Ford’s latest modular motor? Only the dyno will be able to tell the tale as the dust settles. 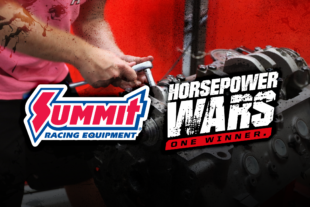 Backed by some of the biggest names in the automotive aftermarket — Season 1 of Horsepower Wars included ARP, BMR Suspension, COMP, Covercraft, DiabloSport, Dyna-Batt, E3 Spark Plugs, Holley Performance Parts, MAHLE, Mickey Thompson, ProCharger, QA1, Royal Purple, Summit Racing, TCI, Weld Racing, and others. Stay tuned for the next episode of LS vs. Coyote 2! High Octane Warfare delivered to your inbox. Subscribe to Horsepower Wars E-Mail Newsletter to get updates on Horsepower Wars every week! Horsepower Wars NEWSLETTER - SIGN UP FREE! We'll send you the latest Horsepower Wars episodes, news, and videos every week.